In West Africa, spontaneously fermented foods are deeply embedded in the food culture and the population has a great deal of knowledge about how these foods should be produced. This knowledge has been handed down over generations, but has also been challenged due to the import of ready-made food. The Department of Food Science at the University of Copenhagen is leading the Danida project GreenGrowth, which has the aim to isolate and catalogue the microbial cultures used for the fermentations and build biobanks to safeguard this microbiological heritage so it can be used to upgrade the West African food sector. 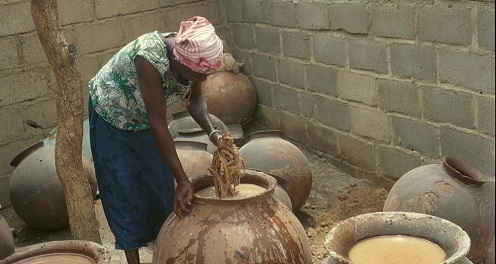 Woman working with fermentation of beer in Burkina Faso. The fermentation of food is an extremely important part of the cooking culture in West Africa and 40 % of the population’s diet is made up of fermented foods – a percentage that increases the lower the income. 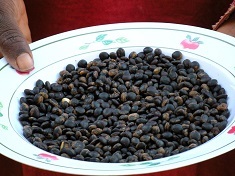 Raw materials ready for fermentation in Ghana. “Raw vegetables do not need to be heat treated before they are fermented, which is important in Africa, where fuel is often difficult to access – here the microorganisms do the work instead. You get products with a long shelf life that can be stored outside the cold chain, which is also very important. One might ferment vegetables or other raw materials that you have in excess, which reduces food waste, so fermentation is in many ways a very sustainable technique,” says Professor at the Department of Food Science (FOOD) at the University of Copenhagen, Lene Jespersen. She is leading the project GreenGrowth, which is a Danida project with a wide range of partners in both Denmark and West Africa (see box). In the GreenGrowth project researchers are working, for example, with microorganisms from the fermented product nunu – a spontaneously fermented dairy product that is reminiscent of fresh yoghurt (the product is called lait caille in Burkina Faso). They are also working mawè produced in Benin, which is a fermented product made from grain – corn or sorghum, which is a crop that resembles millet. Then there is fura, which is made from millet and produced in Ghana. Professor Lene Jespersen from the Department of Food Science at the University of Copenhagen. “Our role is to identify microorganisms in the products using both classical microbiological methods and the latest molecular biology techniques. At the same time, we are establishing the first microbial culture collections in the respective countries and through this cataloguing it is ensured that the West Africans retain the rights to the cultures,” says Lene Jespersen, referring to the UN Convention on Biological Diversity, which was adopted in Rio de Janeiro in 1992. Another task is to find methods that will enable the West Africans to produce better food on a larger scale. “There is a big difference in how for example acidification cultures are used in West Africa compared to Denmark. For example, in Denmark we produce yoghurt using some controlled processes with starter cultures instead of just letting the milk sour. 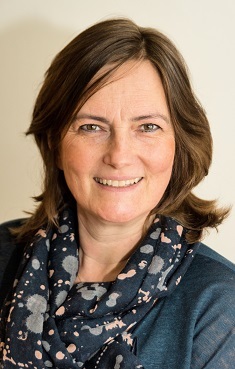 So in order to be able to produce better and safer products on a larger scale, you need to use starter cultures and here it may be important for the West Africans to use cultures from their own products as the natural microorganisms are well adapted for these particular products,” says Lene Jespersen. The microbial cultures will be catalogued in the project and put in biobanks, which means that the West Africans can administer their rights to the cultures, which can be a source of income for the country. “Companies can contact the partners in the respective countries and ask for permission to buy and license the cultures. The good thing about these microbiological cultures is that they often differ in evolutionary terms from the microorganisms known in Europe and therefore may have some other properties. This makes it possible, for example, to use natural microorganisms instead of additives or genetically modified organisms (GMOs),” says Lene Jespersen. Many of the West African microorganisms can, for example, grow at high temperatures, which means that you would be able to use the cultures to shorten the fermentation process in a natural way. So in addition to being beneficial for the West African economy, the project also adds value for the European partners. “My interest is to gain a greater knowledge of microbial biodiversity and to how much their technological properties can vary,” says Lene Jespersen, who has worked with fermentation in Africa for more than 20 years. “I have worked a lot with fermented grain in Africa and I can transfer much of this knowledge to the work with, for example, sourdough, which we use in Denmark. The project provides the opportunity to delve into another food community and to discover which parts can be brought home and used in the Danish and European context,” says Lene Jespersen. In practical terms, there are some challenges in the project because the microorganisms should be stored at minus 80 degrees. 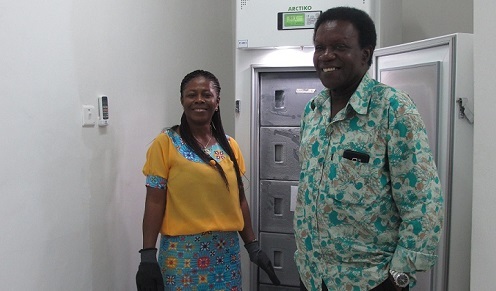 Two of FOOD's partners in Green Growth, Dr. Margaret Owusu and Dr. Wisdom Amoa at the -80 degrees freezer in the lab, FRI, Accra, Ghana. “We ordered the -80°C freezers in Denmark. They were sailed to Africa and driven to the different countries on what were often poor gravel roads. We installed a freezer in Burkina Faso’s capital, Ouagadougou – and we also installed freezers in the capitals of Ghana and Benin. There must be enough electricity to power the installations, so in addition to drawing on the common electric grid we have a solar powered backup. There is a great focus on using alternative energy sources in the project, primarily solar energy systems,” says Lene Jespersen. The researchers have established procedures for how to extract, identify and cultivate the microorganisms so that they are registered correctly. “It is important to have the procedural things in place, if you are to have rights to the cultures under the Rio Convention. A company will then be able to order a specific microorganism, where the properties are described in a database of the contents of the culture collection. If companies want to use the cultures commercially, they can of course make an economic collaboration agreement with the individual African countries,” says Lene Jespersen. The researchers have also travelled around in the different countries to get an overview of how the food industry is represented – for example, how the small and large food producers are distributed in the region. Protein-rich fermented seeds from wild West African trees. “We have visited various types of manufacturers, formed an overview of their raw materials and have described how their fermentation takes place. We have taken the producers’ microorganisms to Denmark in order to carry out molecular characterisations so that we know exactly how they are related and which features we can expect from them. We have had the help of African PhD students who have come to Denmark to perform the more in-depth research part of the work,” explains Lene Jespersen, who over two decades and a number of research projects has helped train more than 20 West African PhDs. This means that the level of knowledge in the public sector and in the local partner organisations in West Africa is very high and Lene Jespersen also has high expectations for the results. “By the end of 2018, I expect that we will have built up some systems so that the West Africans can maintain their own microbial cultures and that they can propagate and implement starter cultures in the local food production. I also expect that we will have created some good value chain descriptions that can boost the financial growth of local companies. In addition, I hope to use the knowledge we have gained through the project in relation to our own fermented foods,” says Lene Jespersen. The GreenGrowth project will end on 31 December 2018. GreenGrowth is funded by Danida and will run from January 2014 to December 2018. The Department of Food Science (FOOD) at the University of Copenhagen, Denmark. The project is led by Professor Lene Jespersen from the FOOD section Microbiology and Fermentation. To enable West African countries to utilise and retain their microbiological heritage and to ensure the sustainable use of biological diversity for commercialisation in the food and biotechnology sectors. To identify relevant technological properties of the microorganisms used as starter cultures in the food chain with a focus on green growth by preventing waste of raw materials, optimising of fermentation processes and product quality. To identify value chains with the greatest potential for green growth and development in three West African countries by exploring local and regional trends, ethnic groupings, urban and rural preferences, gender issues, consumer acceptance and the marketability of the food. 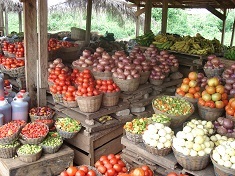 To determine the requirements and the barriers for the implementation of starter cultures at all levels in the West African food sector, taking into account all of the identified environmental issues in the value chain, including technological challenges, packaging, distribution, commercial aspects and consumer preferences. To establish procedures, guidelines for quality and business models in the field of food innovation and green growth with the aim of preventing the waste of raw materials, reducing cooking time, creating sustainable packaging and commercialising products to enhance the competitiveness of small and medium-sized companies. To educate and share knowledge between the West African and Danish scientists with regards to food microbiology, value chain analysis and business models in order to ensure research capabilities and the dissemination and exchange of knowledge with relevant stakeholders, particularly the West African food sector.